Cao Di’s Mandarin-language book Chinese Stop-Motion Animation chronicles the rise of animated films using the media of pieces of paper, marionettes and claymation. She does so in an impressively all-encompassing 336 pages, according a weighty, persuasive presence on the bookshelf to a medium that is often otherwise confined to the footnotes. Cao does not shy away from the fact that some of the leading lights of early Chinese animation were Japanese, such as the early pioneer Tadahito Mochinaga, a Japanese animator fleeing the last days of WW2, who adopted the Chinese name Fang Ming, worked in China for the early 1950s, and returned periodically over the next two or three decades clasping new contracts and technology. However, considering his Manchurian childhood, which made him a fluent speaker of Mandarin by adulthood, Mochinaga is arguably a liminal figure that all but went native. Cao does, however, whisk away Mochinaga’s crown, suggesting that he was pipped to the post to make the first Chinese stop-motion film by the obscure On the Front Line, produced in Chongqing in 1939. Stop-motion films largely remain short works, with concentrated bursts of artistry like the iconic Princess Peacock (1963) and the charming propaganda film Red Army Bridge (1964). China’s political upheavals made remarkably little impact on the output of stop-motion films, with only a three-year gap in releases at the height of the Cultural Revolution. In recent times, stop-motion leaps out of the arthouse into TV commercials and pop videos, where its short running times and quirky look can grab it more hits on the internet. Cao’s book is packed with usable data – not only its narrative account of the industry, but a thorough chronology, a filmography of the works mentioned, and even an account of spin-off media – even Mao-era China had books-of-the-films. 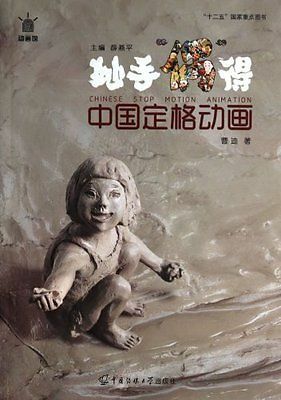 It is a valuable account of this over-looked subset of the animation medium, and a fitting companion to the same serial’s The Stories of Animation Outsourcing in China (1989-2009).